This tour was definitely worth the price. It would have been difficult to do a self-tour of the temple and shrine we visited and really understand what we were looking at. We also visited a smaller garden that was just the right size to get the flavor of Japanese gardens in general. Our guide was extremely knowledgeable and showed us a wonderful, secret viewing spot for both the Skytree and the temple. She was also prompt and courteous. My husband and I had a wonderful tour with Kaoru. She was very well informed and had very interesting point of interest to suggest that we visit. We navigated the city easily and saw everything we planned to see that day, despite a cold heavy rain. We highly recommend her! Kaoru was an extremely knowledgeable and friendly tour guide and we loved exploring Tokyo with her. She was able to offer a great deal of information about buildings, sites, shrines, Japanese history, neighborhoods, Japanese customs, religion and overall culture. She spoke English well and was extremely helpful in translating for us while we were shopping, navigating the train system and communicating with the locals. We would definitely recommend Kaoru for anyone who wants to check out the city! Kaoru was simply fantastic. She arrived punctually, has a truly lovely personality, and above all is so very knowledgeable about the city she loves. It was our second visit to Tokyo and she added so much more than our previous tour. We had an added unexpected bonus. Our son is an architect and so we spent time marveling at Tokyo's architecture. To our delight, Kaoru's knowledge of architecture was amazing. It added so much to our travels through Tokyo. Highly recommended. My wife and I was so fortunate that it was Kaoru who was our guide. She is so polite and pleasant and so very knowledgeable on a vast array of subjects concerning Tokyo. Our son is an architect and was interested in Tokyo's buildings. We were surprised that Kaoru could name the architect and give details on each and every building we inquired about. So very pleased with Kaoru. Kaoru was so flexible/accommodating for our advance schedule changes. She was very responsive and helpful throughout! The tour was as described '2 day highlights' but with the added pleasure of Kaoru's company! She is very knowledgeable and also so very nice! We felt a real bond with her... Despite seeing so much, we never felt rushed as she was nimble with public transport and timed things well! Touring Tokyo with a guide was so efficient and Kaoru was amazing! We highly recommend her tours!! Arigato!! Kaoru is a great guide, friendly and very knowledgeable! Great communication from the booking to the actual visit day. She carefully listened to my expectations and tailored the program of the day to meet my needs! Highly recommended! Wonderful tour; Kaoru-san was knowledgeable and helpful. She worked with me and my daughter to find places we would be interested in, helped us to navigate the subway system, and shared fascinating information at every turn. Highly recommend. 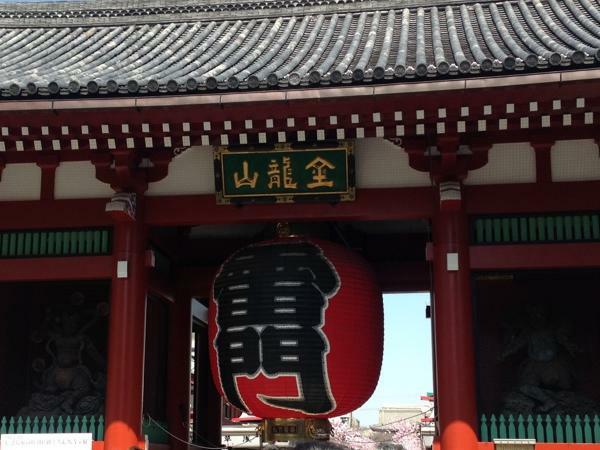 Kaoru provided us with a wonderful tour of Asakusa and the surrounding area. She did a great job of tailoring the tour to our interests, and was good about adapting along the way. Unfortunately, the weather did not cooperate for us, but Kaoru helped us make the most of it. Kaoru is an outstanding guide. We had a very personalised tour visiting a variety of sights to give us an overview of Tokyo. Kaoru was very attentive to our interests and made sure we knew our way around the Subway system for our independent exploration over the next days. It was a pleasure spending the day with her. Thank you very much Kaoru for making our stay in Tokyo extra special. Kaoru was a great and very knowledgeable guide. She even gave me a few suggestions on other places to visit after ending the tour. Overall, she gave me the kind of tour I wanted. Thank you! Kaoru was a wonderful guide. She tailored the tour to our needs and was very informative. She really knows the city she lives in! Kaoru took the time and sent a follow up email to let us know what sites would and would not be open the following day as we wandered the city on our own. TOUR GUIDE RESPONSE: Thank you for your kind comment and high rating, Katie. I really enjoyed the tour with you all. Hoping your safe trip! Kaoru was a wonderful tour guide. Her English was excellent, as was her knowledge of Tokyo. She accommodated our request for a later start time as we recovered from jet lag and agreed to meet us at a location close to our apartment. We visited Tuskiji fish market, Imperial palace, Asakusa, Sensoji Temple and the Meiji Shrine. She also was kind enough to assist us in purchasing our Japan Rail Passes to Kyoto. We highly recommend Kaoru and would definitely book her services again. Thank you Kaoru!!! Kaoru was very knowledgeable about the area and shared a lot of information with our group of kids and adults. She explained the differences in religions to us as well as how to perform some of the rituals at the various temples and shrines and the kids really enjoyed that. Overall a very good/flexible itinerary and she was very knowledgeable and we felt like we got a good overview of Tokyo!!! TOUR GUIDE RESPONSE: Thank you for your feedback and high rating. It was my pleasure to show you around Tokyo for two days. There're lots of places to see in Tokyo. See you again! We have used many guides in many locations and unfortunately Kaoru was just average. She is very soft spoken which made her near impossible to hear at times. Also she provided very limited information on sites and didn't have the dynamic personality and depth of knowledge that makes a great guide. She was okay and got us to where we needed to be, but the two days we spent with her lacked the depth we were looking for and received in other locations across Japan. TOUR GUIDE RESPONSE: Thank you for your feedback, and I'm sorry that the tour was not so exiting as you expected. If you have a chance to come again, I'll tell you much more interesting stories. Wonderful, knowledgable, guide. Created a day based on our interests. Highly recommend. We had a wonderful day touring Kamakura with Kaoru. She was very knowledgeable and informative, as well as pleasant company, thoughtful and accommodating. We learned many interesting facts about the area and would recommend her highly. She speaks English well and was easy to understand. 510 characters will not do justice to the wonderful, caring guide Kaoru turned out to be. I have a mobility issue and she took that into consideration in every event and destination. Fish Market and best sushi I have ever had, touring the city by taxi was a breeze. Her knowledge and history insights were an additional bonus. But most importantly, her caring nature made my short visit to Toyko memorable. When we needed to get from Yokohama to Tokyo for our tour, Kaoru came through with 2 vans to transport luggage and our group, dropped off luggage at our hotel and with one van continued our full day Tokyo tour. Going at one's own pace and adjusting for what the guests want to see and do is the greatest advantage of using a local guide and this was so true of Kaoru. We saw a lot, learned a lot and enjoyed a lot as it was done in the way our group wanted. Kaoru made details seem easy. TOUR GUIDE RESPONSE: Thank you very much for your kind comment and high rating! I'm glad that you enjoyed the tour. There're still more good places to see in Tokyo. Looking forward to see you again! TOUR GUIDE RESPONSE: Thank you for your quick feedback. It was my pleasure to show you around Tokyo. I hope you'll enjoy your stay in Japan. Kaoru met the two of us at our hotel right on time and for 8 hours took us to highlights of Central Tokyo and and took excellent care of us! Her knowledge of Tokyo, both current and historical was very impressive. She was very responsive to any of our questions and requests and was very patient with our extensive photo taking. She was completely organized and prepared for our adventures. Her English was excellent and we strongly Kaoru to anyone wanting to discover Tokyo! Our family had a wonderful day with Kaoru. She was helpful and informative throughout the whole day. She was very patient with us as we stopped a lot of times for picture taking. We were able to see a lot of places in 6hrs. She made our stay in Japan a very pleasant one. TOUR GUIDE RESPONSE: Thank you for your quick feedback and high rating. I'm glad that you took lots of nice pictures during the tour. Enjoy your stay in Japan! Kaoru is a wonderful tour guide. She took me around various Tokyo landmarks—we even rode through an entire subway line during the eight-hour tour. Got to visit the Tsukiji fish market, Meiji Shrine, Takeshita Street, Omotesando, Nakamise, Sensoji Temple, and Akihabara (off the top of my head). We had a delicious, hearty lunch at a soba restaurant. She also showed me pictures of other off-season local festivals and events from her binder. Definitely recommend Kaoru for first-time visitors! TOUR GUIDE RESPONSE: Thank you for your kind comment and high rating. We were able to visit to lots of spots with your cooperation. I hope you enjoyed the other days as well using subway. A wonderful tour - informative, flexible, carefully planned around our interests. Six hours flew by and we felt we just scratched the surface in this wonderful city. Kaoru was a most gracious host - presenting as much information as we needed but paying great attention to the rhythm of the group. I can't think of a better way to spend six hours on a first visit to Tokyo (although I could see how even return visitors would find this tour helpful). Highly recommended! TOUR GUIDE RESPONSE: Thank you very much for your quick feedback, Ioana. I’m glad to hear that you enjoyed the tour. I enjoyed the tour with you all !! Hoping you’ll have a great time in Japan. Kaoru was an excellent guide, very informative, professional, helpful and patient. She explained how to use the train system and gave us a lot of information about Tokyo which made our stay there very enjoyable, all this in addition to providing a great tour on that first day of our stay. I would very much recommend Kaoru as a guide for all travelers to Tokyo. Kaoru met us on time and extremely professional in guiding us thru Tokyo. Our first day in Tokyo was maximized in terms of time since we did not waste time trying to figure out which train to take. We took the 6 hour customized tour and it really met our needs because we are on a 10 day tour of Japan and did not want to visit the same stops in Tokyo on our other tour. Kaoru is very patient and has good historical information. We highly recommend Kaoru. Kaoru offered a tour of Kamakura: Kotokuin Temple, Hasadera Temple, and Tsurugaoka Hachimangu Shrine (my spell check keeps 'fixing' the names), and Komachi street shopping. One activity we did was to 'copy' a scroll, and add a prayer for services. Kaoru also built in some time for sightseeing and shopping (beautiful scrolls). This was one of our favorite days in Japan. Kaoru's planning and professional service made it one of our favorites. Excellent guide service! Kaoru took our input and planned our day tour of Tokyo. We were able to see every site we requested, with plenty of time for viewing and photos, and commentary by Kaoru; and had time at the end of the tour to add in Tokyo Museum and some shopping (Harajuku) as a bonus, due to Kaoru's excellent planning. Along the way, Kaoru would point out interesting landmarks. We also go to see the statue of Hachi. Great tempura restaurant for lunch! Outstanding guide! 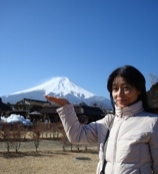 Kaoru was great on planning our custom tours in advance, and being flexible while on our tours. On day 1, we planned a half day--started with Tsukiji Fish Market--simply amazing! Kaoru found an excellent sushi restaurant adjacent to the market for lunch. We then toured a city garden originally owned by the Mitsubishi family (amazing), and then hit some shopping areas. Kaoru was outstanding. Had the history at her beck and call. Highly recommend. Kaoru was wonderful. She was on time meeting us. She gave us a brief itinerary of the day. My husband wanted to get a particular knife for a friend so with no problem she added it to our day. She is very knowledgeable and flexible. My son wanted to go get some Yugioh cards but it was not quite on the schedule. He was a little disappointed but somehow Kaoru was able to fit it in. She surprised my son and he was able to get his cards. We highly recommend her. Kaoru met us at the hotel for the tour. She is very knowledgeable, friendly and easy to talk ton, for all the questions we had. We saw all the major sites, with the best stop being at the Fish Market for a sushi lunch. We did grow tired as it was 8 hours long, but she modified the tour so that we still saw all the places on the itinerary. I would recommend Kaoru for any future tours. Kaoru, thank you for being our tour guide during our stay in Tokyo. You are a very nice and patient person. Thanks for the wonderful time we had with you. Kaoru was a wonderful guide. She tailored our tour based on the areas in Tokyo we were interested in and was great in providing us a nice historical background as appropriate. A very kind, friendly and patient person who we would recommend to anyone visiting Tokyo for the first time! Kaoru was an amazing person, not only she show us a beutiful city, but she did it in the best possible way, We Will recommend her to anyone. Thanks so much Kaoru for the wonderfull time we had with you. We all (family of five really enjoyed the tour. Kaoru was great - very informative, and with her guidance we were able to keep everyone, even the teenagers, happy and engaged. A really good way to see some of Tokyo in a short time - thanks. Karou: was excellent. very patient and varied our plan based on our desires. very helpful taking our pictures. did not feel rushed at all and I noticed we went over a little time and she did not even mention it. Thank you for making our day easier and more fun! Kaoru is a very patient and informative guide. She accommodated our request to learn how to navigate the subways to Ueno from Maihama. We had a fun day with Kaoru at Sensoji Temple and also a beautiful garden. I recommend Kaoru highly. Kaoru is a very calm and knowledgeable guide who made touring around Tokyo very pleasant and efficient. She also knows the "locals only" side of Tokyo where visitors would not be likely to go. An amazing day with a knowledgeable, professional and entirely delightful guide. We saw more than we could have possibly hoped for and highly recommend Kaoru as a guide. She is obliging, thoughtful, very kind and just plain wonderful. Kaoru made an unpleasant weather day into a great tour...very informative and interesting for a first time visitor! Kaoru hosted us for an excellent day in Tokyo. She was punctual and quickly came up with a plan which meant we could see as much as possible in 8 hours. Kaoru was very knowledgeable about the detail of each location. She is a very friendly person who made sure that all our needs and interests were met that day. We would highly recommend her to other families and individuals. Kaoru was very knowledgeable and a pleasure to spend the day with. Kaoru was the perfect guide and company for 6 hours, showing me the best of Tokyo and it was the highlight of my trip. The tour was very enjoyable and I learnt a lot about Tokyo and its history whilst seeing all the sights. A great start to our first day in Tokyo, Kaoru helped us buy our train cards, explained the subway system, toured us through the Fish Market, sushi restaurant, Hama-riku Gardens, waterbus and to the entrance to Sensoji Temple. She is a kind, softly spoken local with a lot of knowledge and a friendly manner making for a very enjoyable morning. Kaoru was amazing, patient, kind and the best thing that could have helped us explore and learn about Tokyo! She was gracious and accomodating (our group had 5 young children) and was able to keep everyone's interests in mind as we explored as much as we could in 8 hours. We would have never been able to navigate the subways with ease without her help. She provided great insight into the culture and sights along the way. Our only regret was not having more time in Tokyo and with Kaoru! Great tour and tour guide! Kaoru is a wonderful tour guide - informative, flexible and patient, plus delightful to be with. Highly recommend! Great overview of Tokyo including the Tsujiki Fish Market, Meiji Shrine, Harajuku and Ometasando, Kaoru is a fantastic tour guide - informative, flexible and patient. It was a wonderful day. Highly recommended tour and tour guide! A wonderful, informative tour guide - and a pleasure to be with. Thank you Kaoru for a great tour! Kaoru is a lovely person, knowledgeable, flexible and patient! We learned so much about navigating our way around Tokyo and the rituals at the shrines. Highly recommend! Amazing tour ! Kaoru is a very professional and knowledgable tour guide. She is friendly and kind and I felt very safe travelling around Tokyo. TOUR GUIDE RESPONSE: Thank you for your quick feed back, Berni. It was a pleasant day for me as well. I hope you enjoyed your stay in Tokyo. I look forward to seeing you again in near future. Our 1st day in Japan, so she was helpful with intro to customs, intro to subway, helped us plan what to see our remaining time in Tokyo as well as getting 4 diverse sights in during the day. A good bit of walking but we expected that. Understandable English. Myself and my wife visited Tokyo in September. We chose Kaoru because she suited the type of tour we wanted. We visited first the fish market we got there fairly early to see the aftermath of the mornings sales. We then went on to a local restaurant to taste the freshest sushi. We took in the Imperial Palace, Gardens and Temples. Kaoru's knowledge was very impressive, she suggested places that were not on the typical tourist trail. We had an amazing experience. Kaoru was a wonderful guide on my first visit to Tokyo. She customized the tour to suit my tastes and was very considerate and patient. It felt like having an angel guiding me around! My husband and I enjoyed such a pleasant day in Tokyo with Kaoru. She was most receptive to our requests and managed to tailor a full day of siteseeing despite the fact that we visited during a typhoon. Kaoru was most helpful in guiding to sites using the underground and helping us undersand how to maneuver the train system of Tokyo. I would highly reccommend her sevices. Nice speech and communicate among us. We were glad to know her. Nice explanation, loud and clear. she's so friendly and helpful person. Kaoru was very professional and friendly. She gave us lots of information about the places we went and gave us ideas for other places to visit on our own. Her English is excellent. She explained the subway system so we felt more confident using it on our own. We were able to design our day according to our interests. I booked this tour for my wife while I was attending a business meeting. Excellent English communication. Very effective on planning the time and location visited on only 5 hours. My wife was impressed so much on what she was able to see in the tour without rushing and at flexible pace. She enjoy her professional knowledge and company. She fell like she toured Tokyo with a friend. Prompt communication to my emails during the trip preparation and arrived on time to pick my wife at the hotel. I recommend. Very good tour of some of Tokyo's main sights and a traditional Japanese lunch to round it off. Kaoru was most informative and we learned a lot about the places we visited. I would recommend this tour to see some of the main sights and then you can revisit what interests you most. We covered a lot of ground with Kaoru in 5 hours. She is efficient, and very competent. We left Tokyo, well versed on the city sights. Kaoru is very easy to converse with, and we enjoyed her company. TOUR GUIDE RESPONSE: Thank you for your kind comment, Barbara. I'm glad that you had a nice time in Tokyo. Next time, I'll show you much more of Tokyo! We spent six lovely hours touring Tokyo with Kaoru. She is accommodating, professional, knowledgable and fun! We would have been lost in Tokyo without her. We learned many interesting facts about areas visited. She explained customs and rituals-we even got to participate in a few at a temple and shrine. She has a vast amount of knowledge & had fantastic points of interest picked out. She was flexible to change itinerary according to our interests. Her expertise is invaluable! TOUR GUIDE RESPONSE: Thank you for your warm comment and high rating. I had a very good day with a lovely couple. Hoping you'll enjoy skiing in Nagano. Kaoru was fantastic. She was responsive to emails before we arrived and we had a great plan. She was punctual and her English was fantastic. We managed to cover a lot of ground and learn a lot of history from her during our tour. Personal commentary and demonstrations were invaluable. She never gave us the feeling she was in a hurry to leave or watching the clock and she managed our children also. Thankyou and highly recommended. Kaoru is very knowledgeable and flexible in terms of what you would like to do. She is a lot of fun to hang out with on the tour, knows her way around the city, and goes above and beyond with helping out as a translator. I have had a wonderful time with Kaoru and would hire her again without a second thought if I come back. TOUR GUIDE RESPONSE: Thank you for your kind comment and high rating, Alex. It was my pleasure to guide you around Tokyo. I had a very nice time talking with you two. Hoping to see you again! We enjoyed our six hours with Kaoru very much. She successfully adjusted the tour to our personal needs which made the tour more exciting. Her attention to detail, punctuality and overall knowledge of Tokyo and Japan added to the overall experience. Without Kaoru, we would most likely have gotten lost in Tokyo. TOUR GUIDE RESPONSE: Thank you for your kind comments and high rating. It was my pleasure to have a good day with you and your lovely daughter Katey. I also enjoyed talking with you about various things! Kaori was a wonderful tour guide; very attentive and knowledgeable. We had a wonderful day in Tokyo. It was our first time using Tours by Locals and we were very pleased. TOUR GUIDE RESPONSE: Thank you for your quick feedback and high rating, Vanessa and Jaime! Hoping your safe trip home. Our tour guide in Tokyo, Kaoru was a delight. She was knowledgeable, educated and most polite. We enjoyed the tour and her company to the max. I would rate 5 out of 5 and will definitely recommend her to friends and family when visiting Tokyo. Kaoru was very friendly, knowledgeable, flexible and had quite a few valuable tips for my stay in Tokyo. TOUR GUIDE RESPONSE: Thank you for your kind comment, Blaise. Looking forward to your next visit to Japan! I cannot be happier with out experience in Tokyo thanks to Kaoru. I had asked for a very ambitious schedule, and despite the rain, we accomplished it all! I can't even believe I was going to consider seeing Tokyo with a tour guide, and the tours by locals option was a great resource, not to mention our guide Kaoru who rocked and made an awesome difference to both days we were with her. Fully Recommended! Kaoru perform good on our Tokyo tour, our ship docked at Yokohama, she do the research, knowing the ship will have shuttle from pier to 'Train station', so our Tokyo adventure starts at our meeting place, on time. With a limited time, we (group of 4) see a few Tokyo must see highlights, by public transportation, She extended our tour time and bring us to 1 more attraction, we are happy with her performance. Best of Tokyo tour taken with Kaoru in August 2015. The tour was taken by walking and public transportation (Tokyo Metro). One of our party had recent surgery, with limited mobility, and Kaoru made appropriate accommodation, which resulted in a very enjoyable day. The pace and direction of a personal guide made all the difference. Kaoru prepared us for each site with her own materials. Best of all, I now have no fear of the Tokyo subway system, and look forward to using it. TOUR GUIDE RESPONSE: Thank you for your kind comment and high rating, Richard. I'm sure you'll be able to get around Tokyo by subway next time :) If you want to go off the beaten path, let me know! We had a very wonderful time in Tokyo with Kaoru. She was punctual (she was already at the lobby of the hotel 15 minutes before the scheduled time) and very prepared (she had maps ready and folders with pictures of various japan sites and she would explain things during our subway ride to our destinations). Well versed in English so communicating was very easy, knowledgable about destinations so we really learned a lot about customs and history. Definitely recommended for Tokyo visitors. TOUR GUIDE RESPONSE: Thank you for the high rating, Rose. TOUR GUIDE RESPONSE: Thank you for your high rating, Rose. Kaoru tailored a delightful tour for my friend and I with highlights to the Tsukiji Fish market, the Meiji Jingu Shrine, A walk through the wild and trendy Takeshita Dori , a fabulous sushi lunch at Heiroku Sushi, a frantic experience at the ever so busy Shibuya Crossing and finished us off in the trendy shopping area of Shinjuku. Kaoru gave us an excellent introduction to the Tokyo Metro system that we were able to follow expertly for the remainder of our trip. Kaoru was an excellent guide. TOUR GUIDE RESPONSE: Thank you for your great comment and high rating! I'm glad that you enjoyed Tokyo city tour. And thank you for that delicious 'chocolate gateaux'! Kaoru San was the perfect guide on our 8hour walking tour yesterday. She met us at our apartment at the beginning of the day and saw us safely onto the subway to send us home 8 hours later. All our questions were answered and we have come away with a deeper understanding of the city and its customs already. Kaoru's company has added to the enjoyment of our Tokyo stay - friendly, informative and fun. Arigatoo gozaimasu, Kaoru San. TOUR GUIDE RESPONSE: Thank you for your great comment and high rating. Arigatou!! It was my pleasure to guide you around Tokyo. I enjoyed the whole day with you all. Hoping all of you have a great time in Japan. Kaoru was an endearing, knowledgeable and delightful guide. Our tour with her covered all of the most memorable sights in Tokyo and helped us understand the bustling city (all on our first day). I can't rate the value of her tour enough - highly recommended! TOUR GUIDE RESPONSE: Thank you so much for your kind comment and high rating. I'm glad to hear that you enjoyed your stay in Tokyo. Wishing you'd visit again and see more of Tokyo and Japan! Very good and well organised tour. I'd recommend booking one early in your trip as Kaoru showing me the train and subway system was super helpful! TOUR GUIDE RESPONSE: Thank you very much for your great comment, Andy. It was my pleasure to guide you and Sandy around Tokyo. I'm glad you liked my favorite garden.